My mother thaught me 3 things: respect, knowledge, […] and she thaught me not to be quiet. Apart from the last paragraph, this biography is Copyright 2002, Amaru Entertainment and was taken from www.2PACLegacy.com. Born Alice Faye Williams in Lumberton, North Carolina, Afeni and older sister Gloria “Glo” moved to New York when Afeni was in the sixth grade. She attended the Performing Arts High School in Manhattan with aspirations of becoming an actress. It was at Manny’s Bar on 169th Street in the Bronx that Afeni was introduced to the lessons of the Nation of Islam and Malcolm X, and even though she never joined the Nation, her search for self began. In Harlem around September 1968, just as her nephew was about to enroll in 1st grade, the teachers of New York Public Schools were threatening to strike and Afeni decided to join with the Black Panther Party to help reopen the schools. Her life in the Black Panther Party began. She quickly rose in leadership, serving as a section leader and organizing lunch and other community improvement programs. In 1969, Afeni and other Panther members were arrested for conspiracy against the United States government and several New York Landmarks, in what became known as the “New York Panther 21” case. She spent eleven months in jail and while free on $100,000 bail, Afeni became pregnant with her son. Due to the courts fear of flight by Afeni and other defendants, her bail was later revoked and she returned to jail five months pregnant. In a bold move, Afeni decided to represent herself as opposed to the court appointed attorney, and despite the odds stacked against her she prevailed. One by one, Afeni listened to the sound of not guilt, not guilty, not guilty repeated more than 100 times for the number offenses against her and other members of the Black Panther Party. The acquittal came one month and three days before she gave birth to Tupac Amaru Shakur in East Harlem. 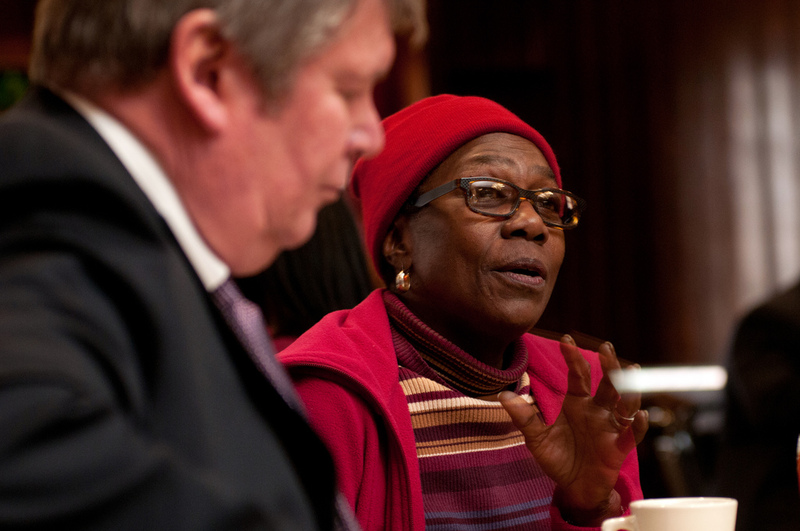 Shortly after her acquittal, Afeni worked as a paralegal and tenant organizer for over 10 years at Bronx Legal Services. She gave birth to Sekyiwa Shakur in 1978 and continued to struggle to provide for her family. In 1985, as a single mother, Afeni fell on tough times while trying to provide for her young children, so she relocated her family to Baltimore. It was in Baltimore where Afeni started using cocaine and soon her family foundation began to crumble. Still searching for peace and stability, Afeni moved her family to Marin City, California in 1988, hoping to leave her troubled days behind. There was no stability, Afeni recalls. I was smoking and screwing up my life. Her addiction to cocaine resurfaced and soon she found herself estranged from Tupac, who was at the start of his musical career. Then in 1990, her wake up call was sounded- she had to be told that Tupac appeared on the Arsenio Hall Show. At that point, Afeni realized she was out of control. With the help of God, prayer, family, & good sponsors, Afeni was free from the addiction of cocaine and began to repair her relationship with both Tupac and Sekyiwa. 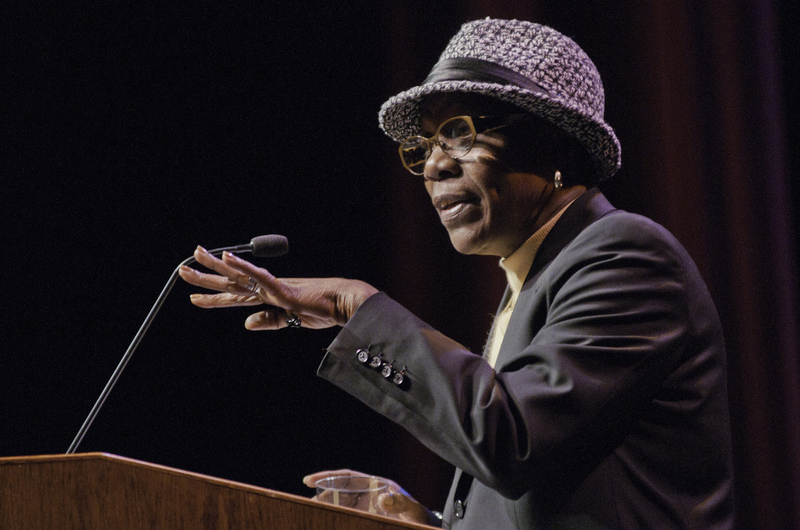 After a lifetime of battles, Afeni Shakur found peace. She continued to live by the doctrine instilled in her during recovery, “take it one step at a time.” Afeni was honored God chose her to be Tupacs mother: Tupac had a special purpose and time on this earth, his earthly life was 1971-1996, however his work, spirit, influence, and legacy will continue to live on in eternity. Op 2 mei 2016 stierf ze in haar huis in Sausalito, Californië, aan een vermoedelijke hartaanval. Ze was 69.